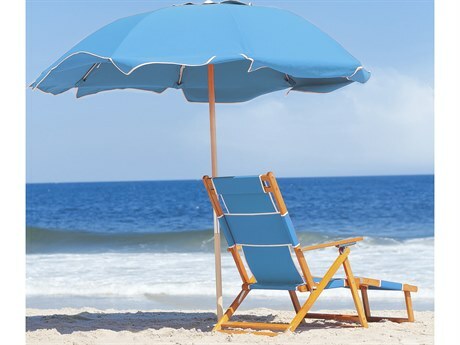 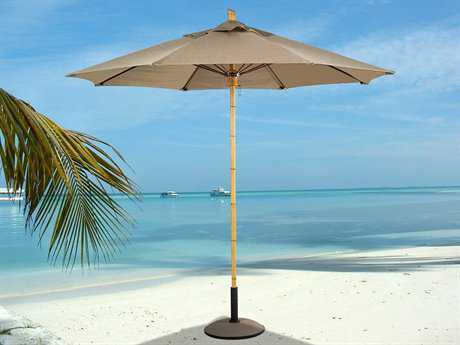 The poles and frames of wood umbrellas are constructed of teak, ash, and other hardwoods, and those poles and frames are fitted with fabric shades in various colors, styles, and patterns. 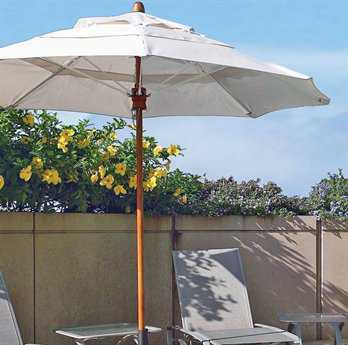 These all-natural classics bring an element of refinement to any outdoor space, providing both decorative and functional value in commercial and residential settings. 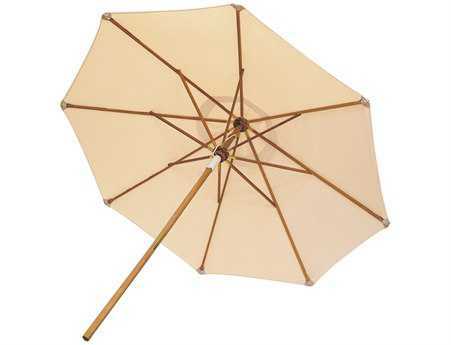 Umbrellas made of wood are often referred to as market umbrellas. 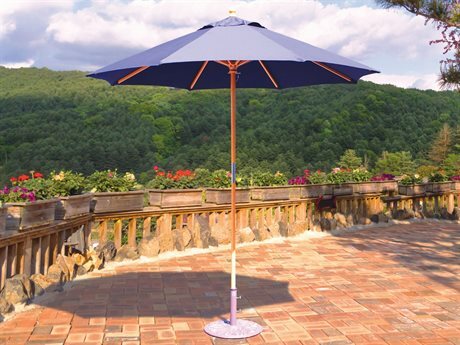 They are available in varying sizes, shapes, stains, and color options, so you can easily to find the exact frame and fabric combination that appeals to your personal decorating style. 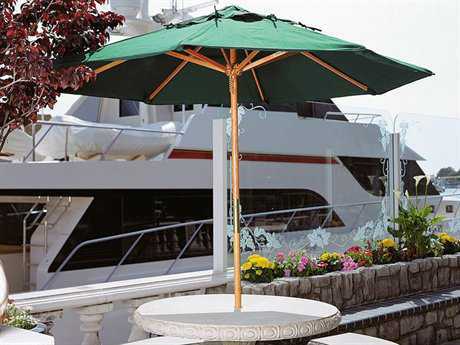 These umbrellas carry many of the same functional elements found in fiberglass and aluminum umbrellas, meaning there is no need to sacrifice on performance in order to achieve the look you want. 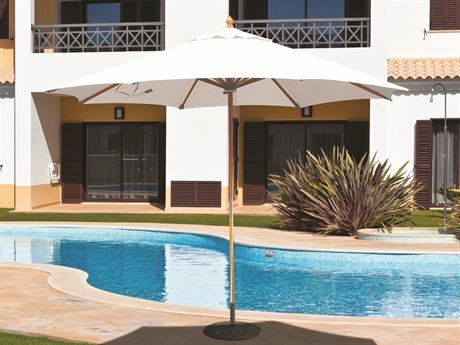 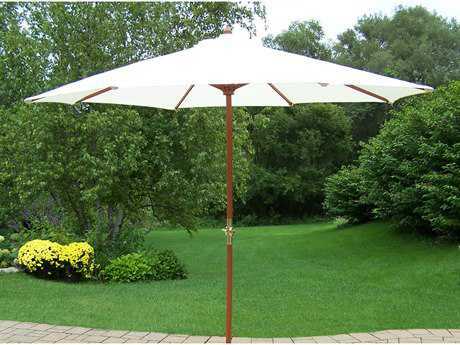 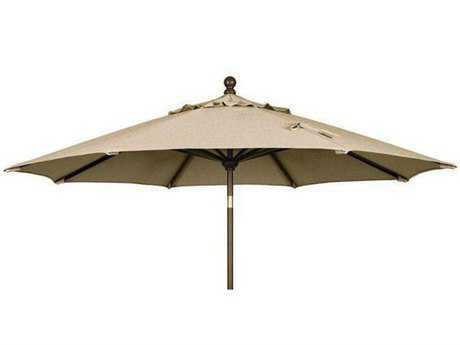 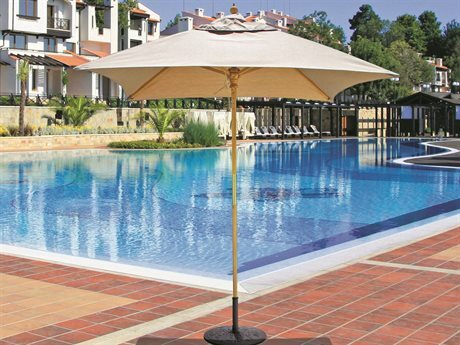 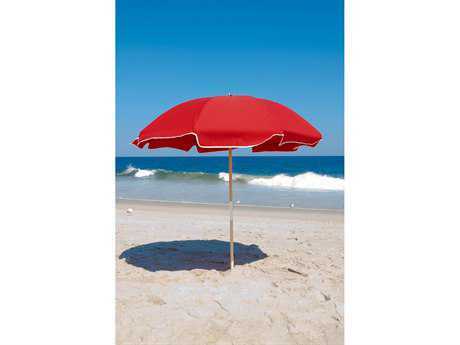 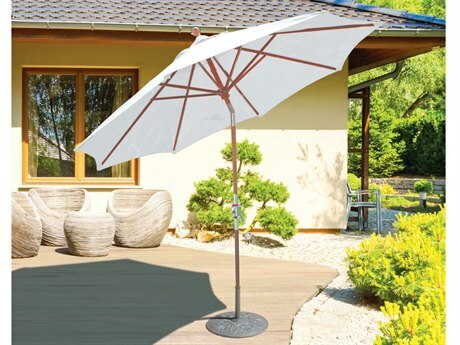 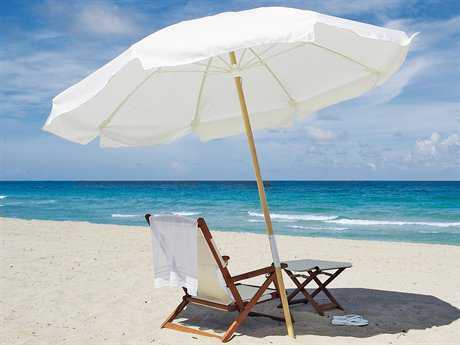 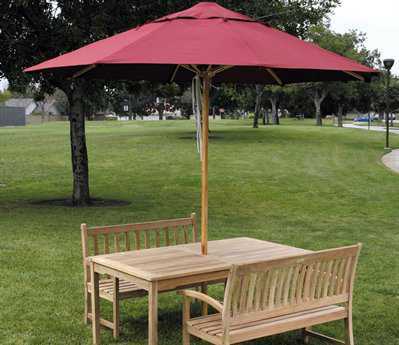 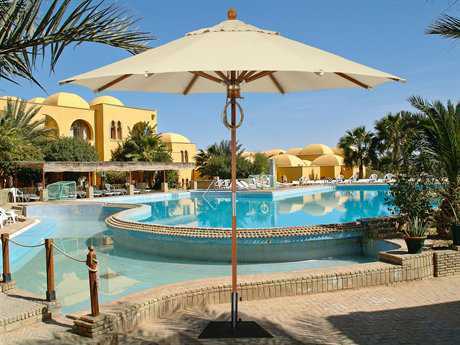 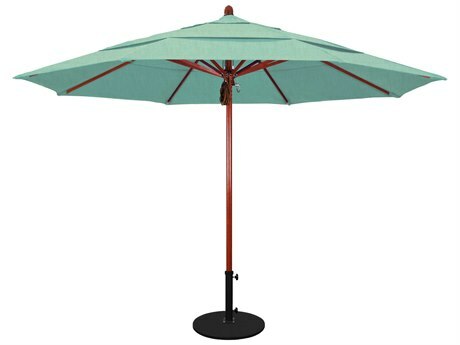 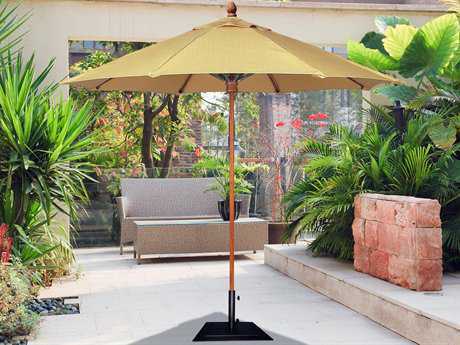 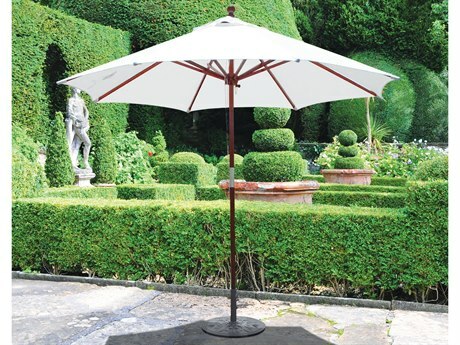 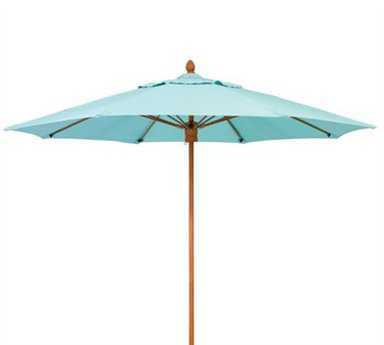 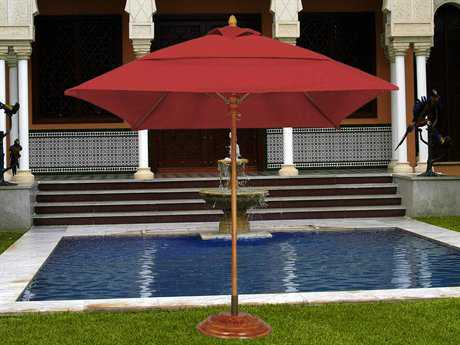 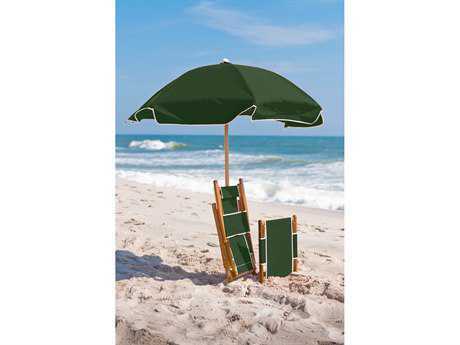 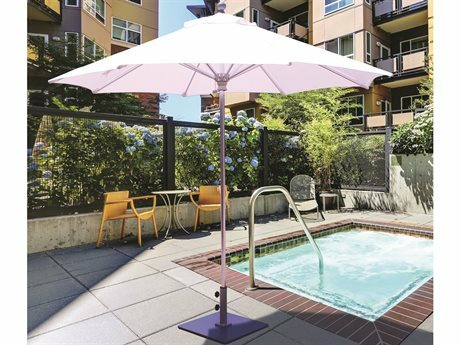 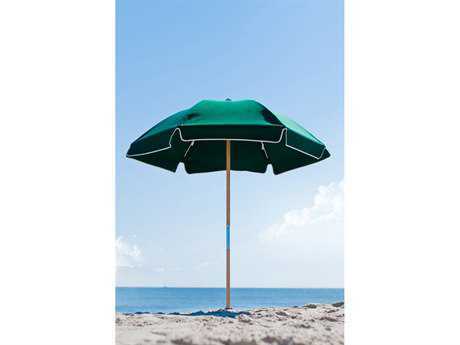 Wood umbrellas are naturally resistant to moisture and insects, making them suited for outdoor use. 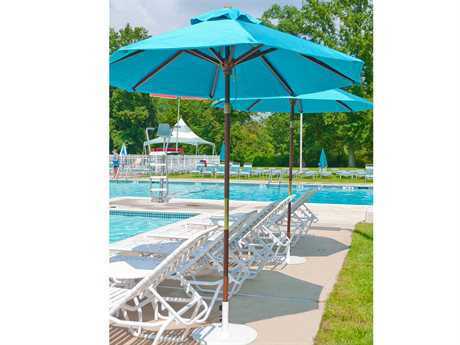 They feature center poles which come in either one or two pieces. 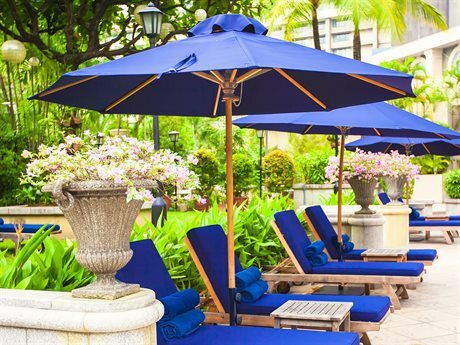 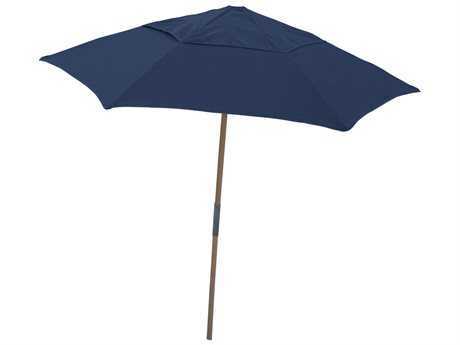 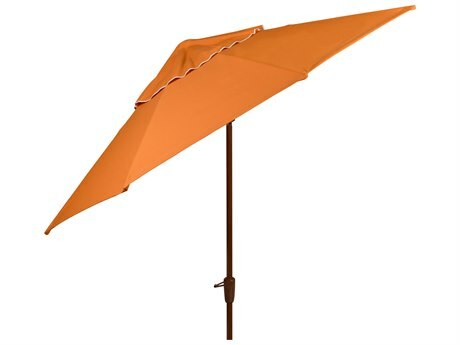 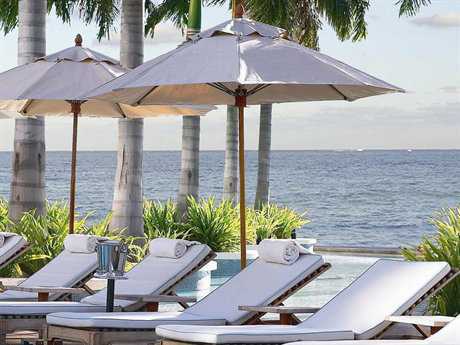 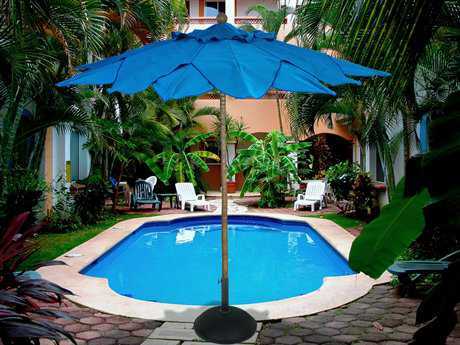 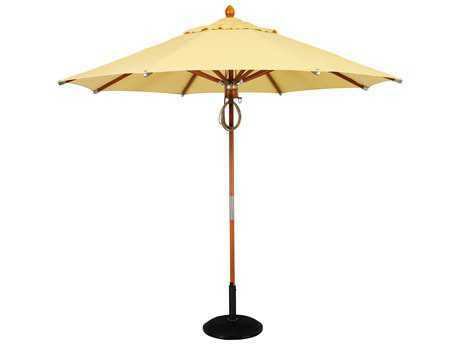 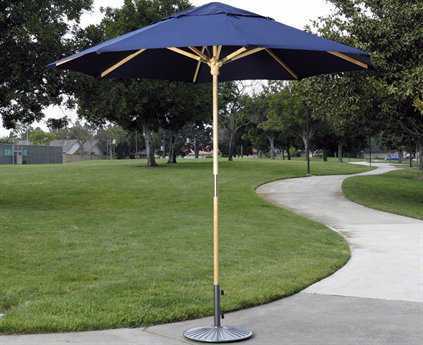 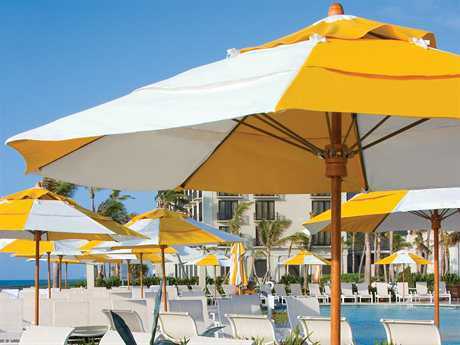 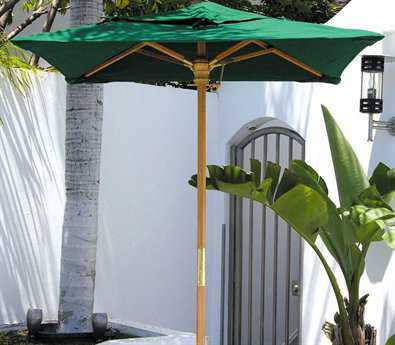 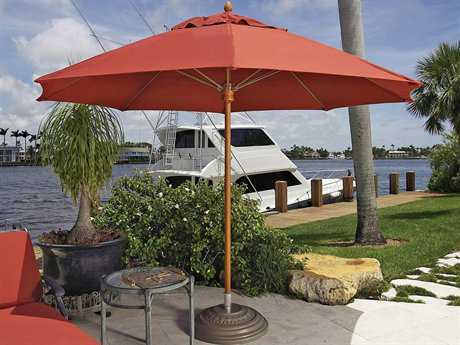 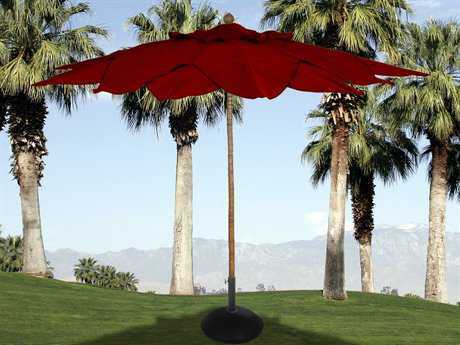 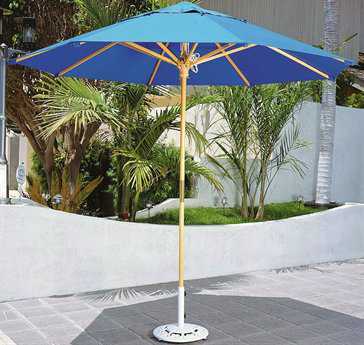 While these umbrellas are made from solid, natural materials, they still feature many of the useful features found in aluminum or fiberglass umbrellas. 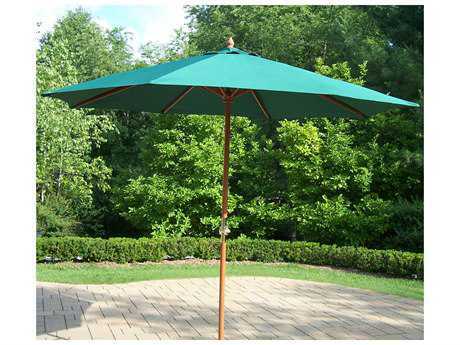 Available options include double pulley, push up, crank lift, and tilt functionalities. 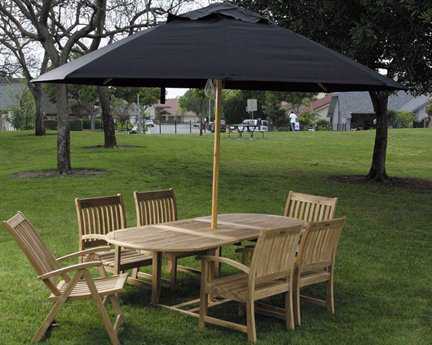 These models also feature sturdy wood rib construction, and, if broken, the ribs can be easily replaced. 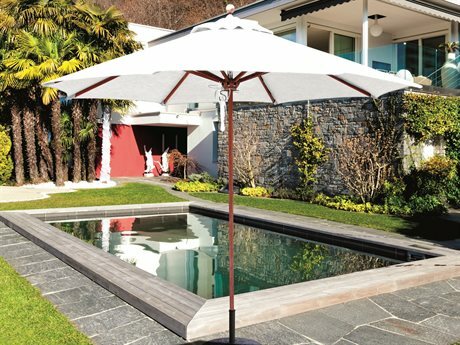 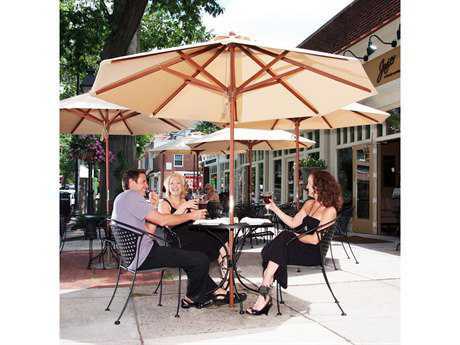 Wood umbrellas convey a natural, classic look that blends seamlessly with the outdoor elements. 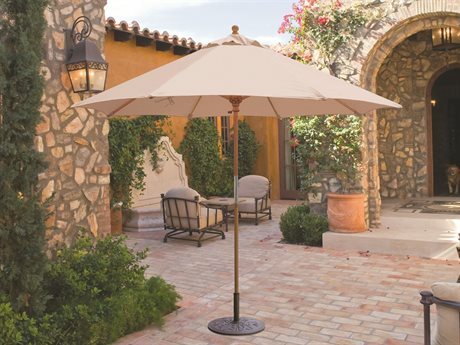 Their neutral hue can make for a subdued, stately look when paired with a neutral colored shade or add a pop of personality and serve as an element of striking contrast when a more vibrant shade color is selected. 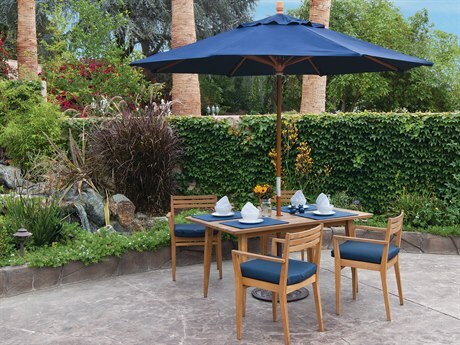 PatioLiving carries varying styles of wood dining sets and wood lounge sets crafted from a variety of hard and soft woods, with options to coordinate perfectly with each of our outdoor furniture. 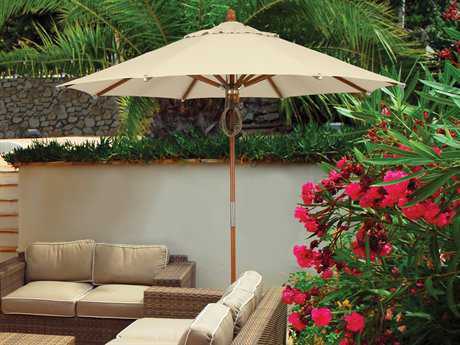 For a less matchy look, our pieces also pair well with wicker patio furniture for a truly refined look. 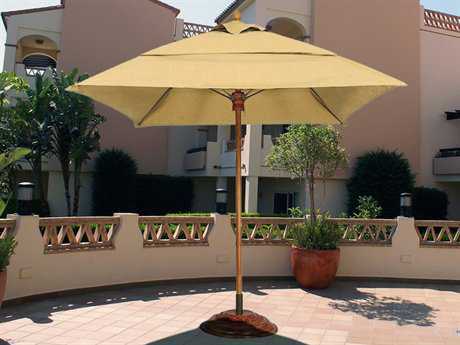 Sling furniture in brown and tan hues can serve to match the general tone of your umbrella while still incorporating varying materials for a more diversified look. 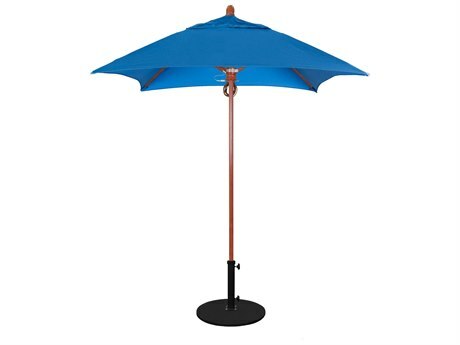 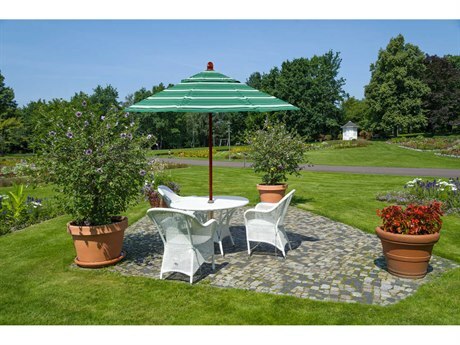 If you have any questions about purchasing a wood umbrella, you can refer to our Buying Guide, or contact one of our product experts. 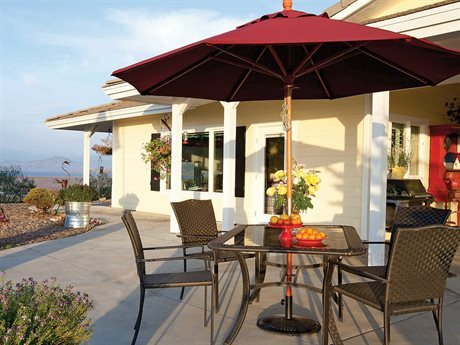 Shop with us today and discover why PatioLiving should be your number one source for luxury, high-end patio furniture.